Traditional Puerto Rican Food : History and Delicious Recipes! As you walk outside Puerto Rican restaurants and even residential areas, you may notice something unfamiliar wafting in the air. Unfamiliar yet strangely… tantalizing. These would be the herbs, spices and delicious ingredients of traditional Puerto Rican cooking and its signature cuisine. Before we cover some of the ingredients and dishes that have become the de facto Puerto Rican fare, let’s go back a little ways and begin at the beginning. 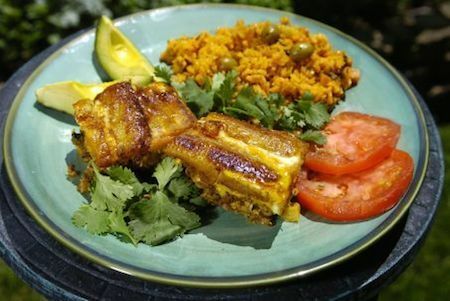 Traditional Puerto Rican food traces its main influences back to the the Taíno people – the native Amerindians Columbus encountered in his discovery of Puerto Rico in 1493. They originated the barbacoa meat preparation method that became modern-day barbecue. They also used a “pilón” (mortar and pestle) to pulverize ingredients such as yucca, peppers and corn, which are still prepared this way today. Other ingredients used in native Taíno cooking were cassava, calabaza squash, beans, pineapple and guava. Upon arrival of the Spaniards, many new ingredients were introduced to Puerto Rican cuisine, for example: bacalao fish, the cilantro herb, and garlic and olives. After the arrival of the Europeans, much of the native population began to dwindle and Spanish culture overtook the culinary arena. Dishes originating in the Iberian Peninsula played an important role in the evolution of Puerto Rican food. Foods from Mexico such as cacao were also imported for use in Puerto Rican dishes. Additionally, African slaves introduced the use of coconuts and plantains as well as the popular frying method of cooking. Other immigrants such as the French, Italian, Chinese and Dutch were involved in the development of Puerto Rican food. Sofrito: This thick, herbed and peppery vegetable sauce is traditionally used as a base for numerous recipes. Sazón: Spanish for “seasoning,” sazón is a seasoning salt used everywhere in Puerto Rican cooking in order to add both flavor as well as the traditional, subtle orange hue of many Puerto Rican dishes. Achiote: This is annatto oil used for cooking mainly in the Caribbean. It creates the yellowish-orange coloring of many dishes, for example in the traditional “arroz con pollo” (chicken and rice) dish. Adobo: Latin for “garlic-pepper-vinegar marinade,” adobo is often used with pork and other meats in Central America along with the Spanish-speaking Caribbean. Adobo does have variations, but a common theme in adobo dishes is an oil base, garlic and an acidic ingredient such as citrus or vinegar. Asopao de Pollo: This is a chicken gumbo stew with traditional seasoning, peas, olives, garlic and onions. Mofongo: This very popular savory dish is made of mashed plantains mixed with pork cracklings, often served as a side to a meat dish. Tostones: These addictive twice-fried chips are made of the ever-popular plantain and often served with mojo (garlic) sauce. Arroz con gandules: This is a popular rice dish with pigeon peas, considered a staple side dish. Pasteles: Typically served during the Christmas season, these work-intensive tamales wrapped in banana leaves can have various fillings but are seasonally popular across the island. All of the influences that played a role in the development of traditional Puerto Rican food are referred to, collectively, as La Cocina Criolla. Demand for plantains in Puerto Rico is so high that the fruit must be imported from other countries. Sweet or savory plantains are often used in combination with chicken, pork and seafood creations as a complimentary side dish. While we couldn’t possibly list all the recipes for traditional Puerto Rican food, we hope this snapshot helps whet your appetite for the signature flavors of the island. 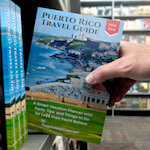 If you want an in-depth Puerto Rican cookbook by an award-winning chef, you may want to keep the Puerto Rico True Flavors cookbook in your kitchen. Written by highly regarded and popular chef Wilo Benet, this book is beautifully illustrated and gets great user reviews. Go back to the Puerto Rico collection of articles and photos. We were delighted with the complex savory flavors of traditional Puerto Rican cooking. 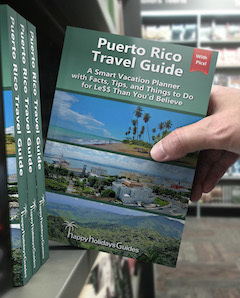 You can learn much more about the island and plan your vacation in our Puerto Rico Travel Guide, now available on Amazon as an e-book. 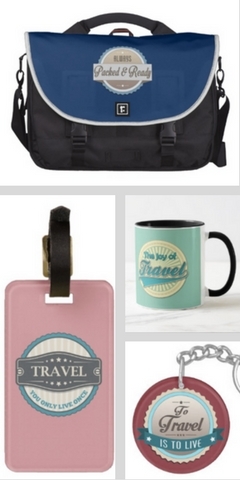 (No bulky books to pack!) We were absolutely blown away by our beautiful, affordable experience in Puerto Rico and want to encourage others to visit and fall in love with the island much like we did. 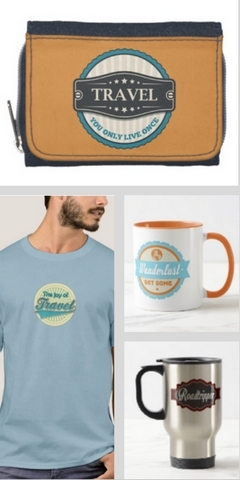 Want Freedom to Travel? TED Talk Video Nails It.